Dazzle your way into the evening with this oh-so-wow Alanna Bead Necklace. 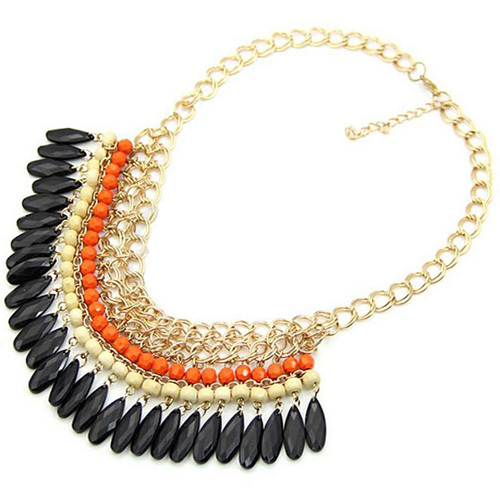 Featuring orange, cream-coloured and black beads, it is secured with lobster-clasp fastening. Buy this high quality but cheaply priced necklace online here at Oz Bling.